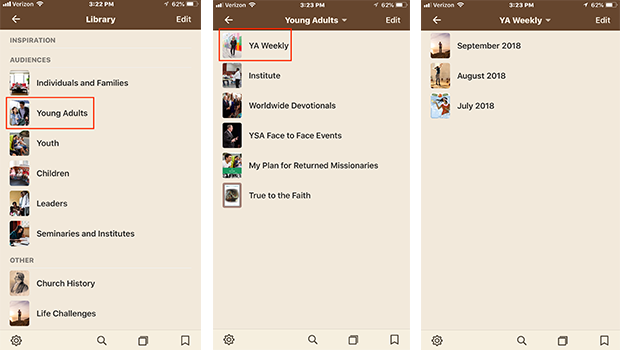 Latter-day Saint young adults can now find new content created for young adults by young adults each week in the Church’s Gospel Library app. A new section, known as YA Weekly, will be updated each week with content available in 20-plus languages. Those who wish to share stories by, about, and for young adults may submit them to YA Weekly at liahona@ldschurch.org. From “YA Weekly in Gospel Library Features Content by, for, and about Young Adults” at news.lds.org.